Let’s start with a Shopper basic by making a list. From the Home Screen, Select the My Lists icon. Here you have your Shopping Lists. Lets start with one of the sample lists, pick “Grocery Shopping”. 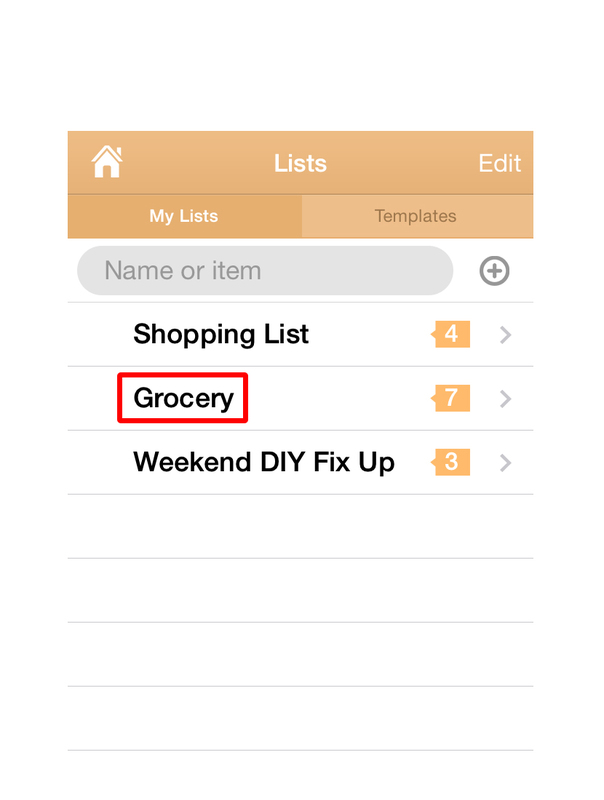 You can add items to your Shopping list with either the "BROWSE" or "ADD ITEM" icon. Let’s try to add Carrots. Tap the “+” icon in bottom bar, and start typing “Carrots”. When you see “Carrots”, tap it. The “+” will turn to a “-”, which means it is now on your current list. Use the up and down arrows to quickly set the quantity you need. If you need to delete from your list, simply swipe over the name of the item, and a Delete button will appear. Finally you can Checkout to empty the cart, or simply Uncheck All to reset the list for the next time. In the store, open your list. The items are organized in groups like the Aisles of a store. Check items off as you shop. Checked items go to the cart , so your list gets smaller as you shop!